We’re big on infographics around here. 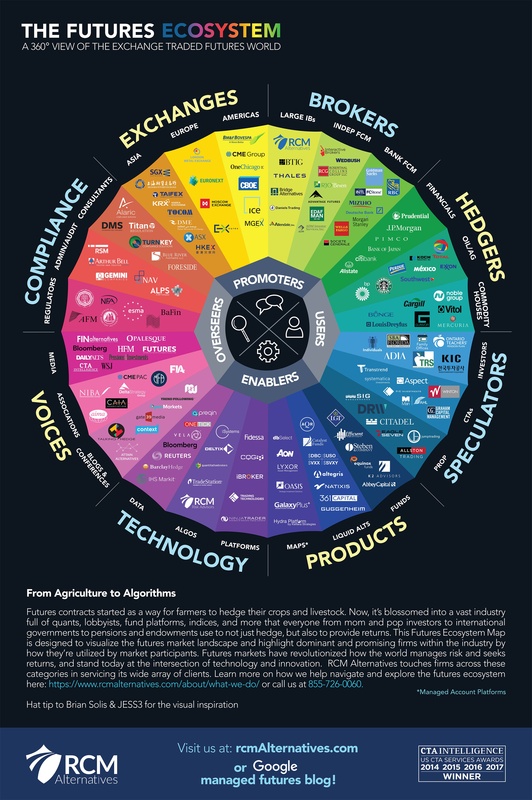 Our latest is an adaptation of Brian Solis + JESS3’s Conversation Prism 5.0 to visualize the futures market landscape and highlight dominant and promising firms within the industry by how they’re utilized by market participants. Enjoy! Futures contracts started as a way for farmers to hedge their crops and livestock. Now, it’s blossomed into a vast industry full of quants, lobbyists, fund platforms, indices, and more that everyone from mom and pop investors to international governments to pensions and endowments use to not just hedge, but also to provide returns. This Futures Ecosystem Map is designed to visualize the futures market landscape and highlight dominant and promising firms within the industry by how they’re utilized by market participants. 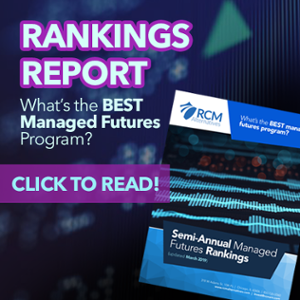 Futures markets have revolutionized how the world manages risk and seeks returns, and stand today at the intersection of technology and innovation. RCM Alternatives touches firms across these categories in servicing its wide array of clients. Learn more on how we help navigate and explore the futures ecosystem here: https://www.rcmalternatives.com/about/what-we-do/ or call us at 855-726-0060.